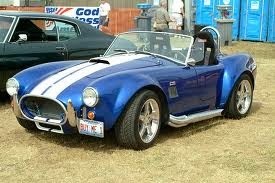 It may sound corny, but one of the things I want to in my life is build a Cobra replica car. Knowing my track record with such projects, I should just work hard, save my money (maybe win the lottery) and just buy the thing. The project would probably take too long and too much space in the garage…. but I just can’t let go of the idea. Why the Cobra? 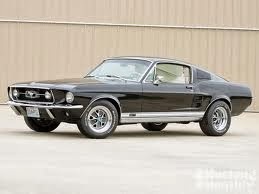 That and the 1967 Mustang are my two favourite cars. It probably isn’t a coincidence that Carol Shelby had a hand in both of those cars. They are both beautiful cars. It also isn’t a coincidence that neither of these cars is suited for Canadian weather. If I had them (and could afford the insurance) they would both be summer cars. That would mean having them and my winter car….and people say money isn’t a solution. I came close to buying the 67 mustang once. I went to look at it with the hopes of purchasing it, but the owner, despite making the appointment, didn’t stick around to show it to me, or even talk to me. I guess he didn’t like the cadence of my voice over the phone. Luckily the car was parked outside his house (not a great option in winter in Canada). His neighbour talked to me about it, but he didn’t give me the hard sell and I was able to leave with my money in my pocket. Realistically, it wouldn’t have been a good purchase. I was in the middle of my studies and within a 16 months would be off to Japan. I didn’t know that at the time, but it is funny how fate works out. I have never been close to that car again, but I still think about it. I have seen them build those cars on various TV shows, and every time I have been a little envious. I really need my own TV show. They could let me build my dream car and document my mistakes (and probable injuries) for everyone to see….. I had better start working on my pitch. In England, there is a car company called Caterham, which allows you to build one of those funky roadsters you see in British TV shows from time to time. It comes as a kit and you assemble it. It sounds like a dream, except that I watched those guys from BBC’s Top Gear get fed up and argue constantly about it. They said that you might get satisfaction out of building it, but everyone else around you would go completely bonkers. Of course, according to the video you can buy it assembled for an extra 2000 British pounds. I am not sure what would be best. Winter seems to have started early this year (there is snow on the ground), so I guess I had better put off the idea until spring…or I could just let it nag away at me all winter. Such is the life of a dedicated hobbyist. I had a chance to look around the bookstore yesterday and I have a few observations I want to share with all you hobby people out there. And, whereas I might whine about them gearing up for Christmas on my other blog, this will be a more positive blog. I have to admit, shopping at a bookstore is one of my favourite things. I don’t do it as much as I used to because I generally take advantage of the wonderful library system we have in Ontario. While I used to love having a whole library of books, I have moved so many times that I really don’t need that huge library any longer. Oddly enough, I have met so many interesting people in the bookstore over the years. This includes my university bookstore, Kinokuniya in Japan, and the soon to be closed World’s Largest Bookstore in Toronto. Just yesterday, I met someone very interesting… but I digress. I just wanted to say that books and things you can buy at the bookstore make fantastic gifts. I noticed that there are a lot of interesting gift packs for Christmas. I came across a catapult kit, a boomerang kit (I was sorely tempted….but then I would have to wait until spring…..but I am still tempted. Besides it’s orange. I might be able to find it in the snow. Besides, it might come back to me……) learn guitar kit. The list is endless. Add to that, there are so many interesting book sets. The complete Calvin and Hobbes is now on sale in paperback for those of you who couldn’t justify getting the hardcover version. I saw so many interesting things that I want to go back today and spend more time looking around. Maybe I will. Maybe I will pick up the whole Ender’s Game series just so I can watch the movie and not look like a complete newb. If you’re shopping, the bookstore is a good place. Sadly, hobby books for trains, model cars and the like don’t seem to get much shelf space in these stores. I guess the hobby shops have sewn up that market, but that really isn’t fair. I would think that it would be easier for the hobby inclined to send anyone wanting to buy them a gift to the bookshop rather than the hobby shop. For some, the hobby shop is a little intimidating. Sorry for rambling, but I roamed around the bookstore, and now you’ve roamed around my thought process….. I am off to the bookstore to look around some more. I would have to say it is official. 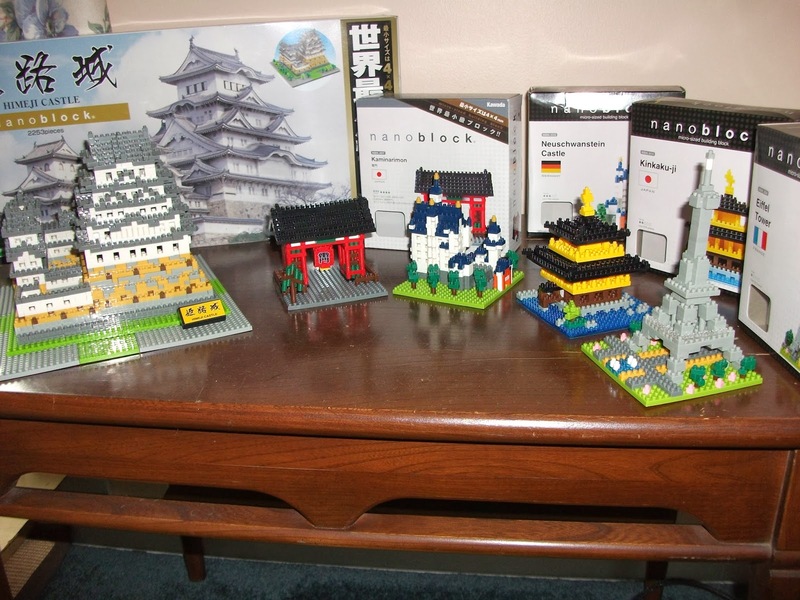 Nanoblocks have become a force to be reckoned with. Why do I say that? Surprisingly, it is not because there is a big push on them for the Christmas rush–though I did see them available at a store that had never had them before. Instead, I give them credit because they have inspired some competition. Micro Blocks, produce by a company called Loz, are now available. They don’t seem to be available here in Canadayet. This might have something to do with a bit of a conflict with the people who brought you Mega Blocks. This company (based in Canada I believe) uses the name Micro Blocks for the blocks that share the same size with Lego. Sounds complicated doesn’t it? 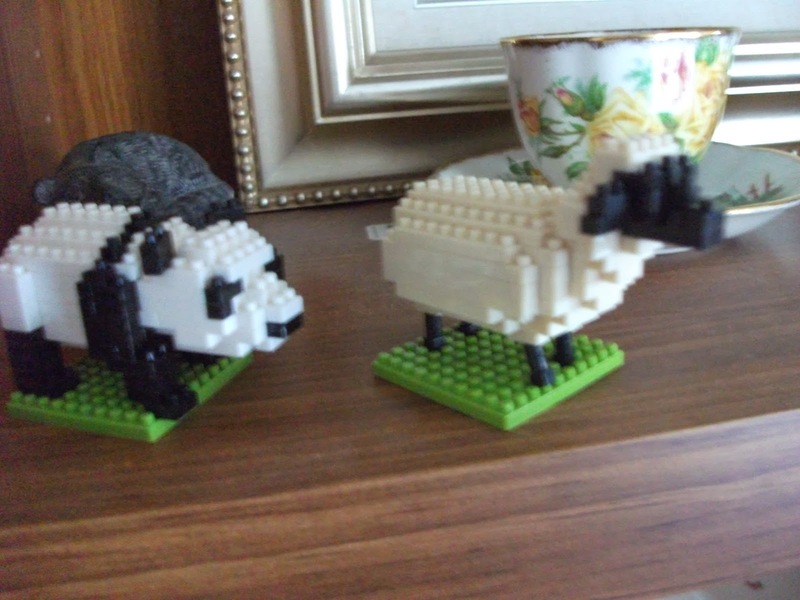 They seem to be competing in the same space as Nanoblocks. 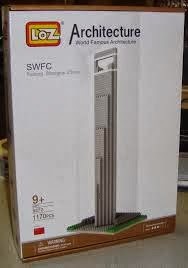 They offer lots of architectural themed kits of world famous buildings. This should appeal to adult builders as well as kids. It also seems to have a broad international scope, so it should be easy to spread. I am all for competition. More tiny blocks equals more fun. The other thing is that more block producers mean more designs and creative ideas. It might also mean more interesting pieces. I wonder if the two sets are compatible. 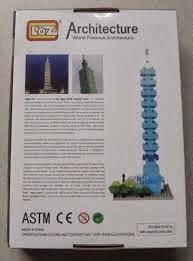 I don’t know if either Nanoblock, or this new Micro Blocks company will every dominate the space that Lego has, but I am interested nonetheless. I know as a Canadian I will have to wait a long time before I see them, at least I can think good things about 2014. Though I might complain about Christmas being foisted on us way too early, I still think Christmas is important to the hobbyist. This is the chance to prod someone (gently or not so gently) into getting us what we want. We can also do our best to try and entice someone into a hobby by selecting a gift that might start a lifetime of hobbying (I will touch on this in a later post). And if all else fails, we can always justify a bigger expense by telling ourselves (and who ever else we might have to justify the expense to) that this is a Christmas present. If your special someone is an efficient shopper, they might already be looking for your gift. You might need to start dropping hints as early as tonight’s dinner. Some of you might need to start working on that list. Some of you (the indecisive type) should start making decisions as to what you want. If you don’t, maybe there won’t be anything under the tree. If your someone special is a last minute panic shopper, well then you’ve got time. Lucky you. Of course if you aren’t around at the moment of that last minute panic, and don’t have your list on your smartphone when they call….. well then, too bad. The funny thing I find is that whenever you ask people what they want, they often don’t know. I know this is not true. If I asked you for ten things you would buy right now if I set you free in a hobby shop with a $50 (or whatever amount) gift card, and said you had ten minutes to get something or the car would expire….I am sure you could get something. The problem is that people thing a gift has to be something different. It doesn’t. A gift is something free. I know, a gift should be something “you wouldn’t buy for yourself.” What a silly idea. If I wouldn’t buy it for myself, I wouldn’t want it. A gift is something that you want, but can’t justify spending your own money on. When it’s someone else’s money, it should be easy. My advice, write down everything you want. Just that you want it, not that you would or wouldn’t spend the money on it, not that you are or are not going to buy it. When you’re done, look it over. 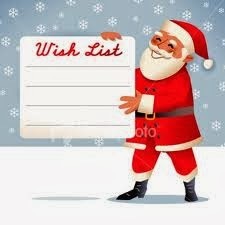 Wouldn’t it be nice if someone gave you anything from that list? If you’re smart, before letting a loved one look over the list you might want to organize it by price, or bundle a bunch of things together that might fit their budget. Either way, now you’ve got something to tell them to get you. I feel very strongly that every blog post should have a photo. My train of thought is that photos are visually appealing, and that they give a preview of what the blog will be about. Maybe, thanks to google searches, they might even net me a reader or two. I should be thankful that the digital revolution has made taking photos and adding them to blogs (as well as adding them to facebook, or bombarding relatives with the latest 100 cute cat pictures) really easy. Maybe too easy. I remember when all we wanted to do with our photos was slap it on a cup or maybe make a calendar. Oh how times have changed. My camera is pretty good, and I love the photos it takes of friends and family. However, I am not often such a fan of the pictures I take for this blog. Sometimes I forget to push the button for macro, so I just get a blurry mess. Sometimes the simple act of pushing the button is enough to jostle the camera causing another burry mess. Sometimes, I am just too lazy for the photos to get from the camera to the hard drive of the computer. It is a wonder how, in the old days, I was able to wait a week or more for my photos to develop. I have built a generic backdrop, and I am going to turn it into a psyche (I don’t know if I spelled this correctly, but I mean a backdrop which is curved so that it looks like there is no bottom and back–somebody please comment with the correct term). It has worked okay, but I am not completely satisfied with it. I may have to do it again. Thinking back to the old days, we probably took a lot fewer pictures. Heaven forbid I waste film on a poor shot, and that is without even thinking of the more expensive flashcubes. Now, I can take pictures to my heart’s content. 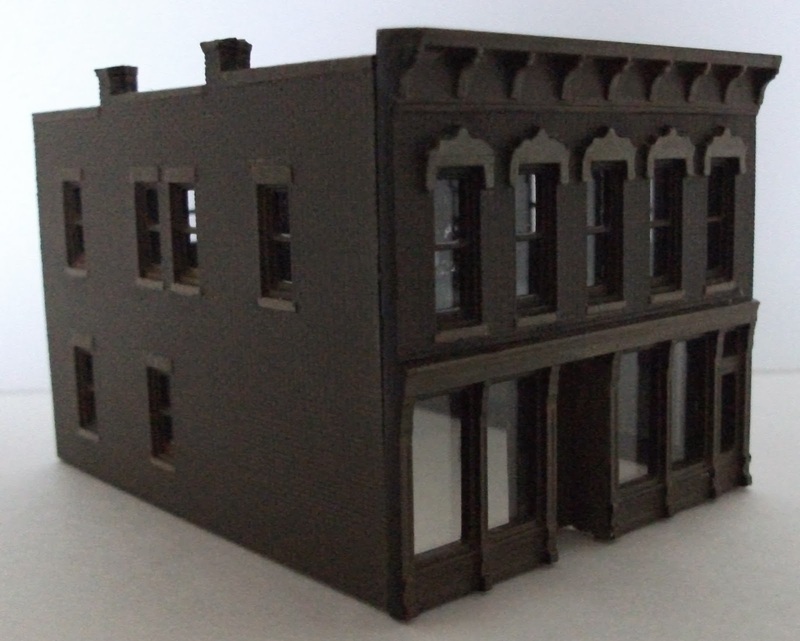 For a hobbyist that is a good thing, If I go to a model show, or train show, I can snap a whole lot of pictures. I can even take a lot of video. Wow, times have changed. As for the blog, I want good photos, and I know those generic ones you can get off the internet don’t really appeal to people. I understand that, I just succumb to laziness sometimes. All I can do is pledge to do better in the future.